Mike Ashley blanks Benitez THREE weeks after receiving his new contract demands – George Caulkin – NUFC blog – Newcastle United blog – NUFC Fixtures, News and Forum. According to the Times’ George Caulkin, Rafa Benitez has received ‘no response’ from Mike Ashley THREE weeks after issuing his contract demands to the club. 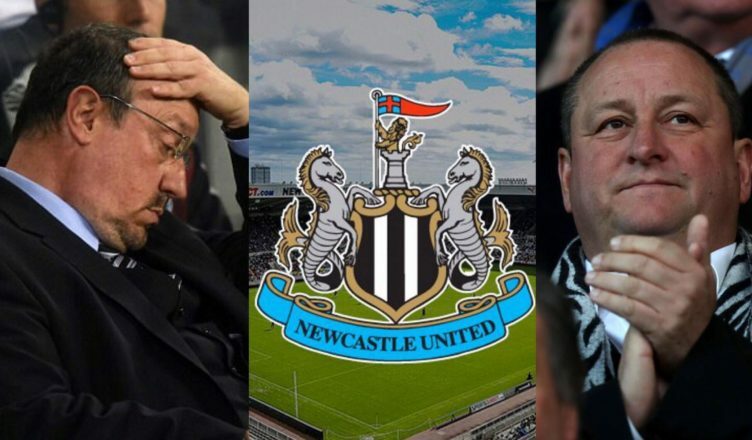 It’s also been confirmed this week that the NUFC owner is currently on a ‘Easter break’ in the USA – showing just where his priorities lie as Rafa Benitez and the whole of Newcastle United is left in limbo. Rafa’s now ‘accepted’ that training ground improvements won’t be sanctioned in the ‘immediate future’ according to Caulkin, however he does require a ‘compromise’ over Ashley’s transfer policy, with him keen to sign experienced players and not just players under the age of 25. It also seems he wants assurances over how his budget will be spent (e.g, if he has £60m to spend and wants two £30m players, he can get that), while the report also mentions his ‘frustration’ over the time taken for us to complete deals. “Rafa Benítez has had no response from Newcastle United three weeks after telling the club’s hierarchy what it will take to keep him at St James’ Park beyond the end of this season. “At Newcastle’s request, the manager submitted a wishlist in the week before their Premier League fixture at Arsenal on April 1, in the expectation that they would form the basis of contract negotiations. As of last night, he was still awaiting a reply, causing Benítez to seek clarification from the club; with only four games still to play, the clock is ticking. “It is understood that all previous contract offers have been superseded by the most recent talks, meaning there is presently nothing concrete for him to consider. He has accepted that Newcastle will not improve their training ground in the immediate future, but is seeking compromise over their transfer policy, which favours signing players aged 24 and under. “There has been tension during transfer windows, with Benítez expressing frustration at the time it takes for the club to complete deals and he wants guarantees about when and how his budget will be spent. First of all, it’s unbelievable yet totally believable that Rafa has heard nothing three weeks on from submitting his contract requests – all while Ashley enjoys a holiday across the pond. Rafa is clearly open to a compromise – Caulkin reveals here that he’s accepted training ground improvements may have to wait – but it’s not yet clear that Mike Ashley is willing to strike a deal. There’s a lot of talk from the Chronicle and other outlets that Ashley is keen to keep Benitez at the club, but the proof will be in the pudding.